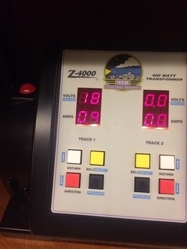 I have a question about why the voltage indicated using the soft key "Track Voltage" on the DCS remote or in the DCS App displays a voltage less than what is displayed on the Z-4000 transformer and with a meter on the track. When I use the DCS to track the voltage, it reads anywhere between 4 and 8 less volts (depending on the speed of the engine) than what is being displayed on the Z000 or on my meter on the tracks. (Pictures below) I have a MTH Z-4000 transformer and the voltage set to 18 Volts through the fixed channel. 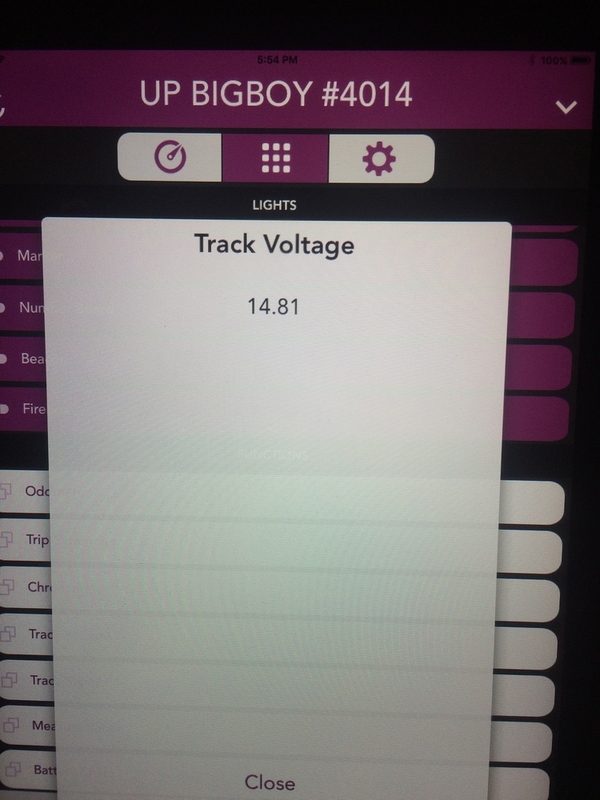 I have a constant 18 volts around the loop of track (checked with a meter) - track is clean - wheels are clean - etc. Anyone have an explanation for this? Do I need to run a slightly higher voltage on the Z-4000 to get the engine reading 18 Volts on the DCS Track Voltage Soft Key? I have noticed the difference on every DCS engine I own when I check the voltage - but never really worried about it. What got me intrigued is that I have an MTH BigBoy PS3 that slows down slightly rounding a set of curves with 0-72 and 0-81 radius. There is a 1 volt drop on the meter when the train starts to round the curves. When I push the transformer to about 19-20 volts - no issues with the engine slowing down. However, I if I understand correctly, the engines like 18 Volts so I don't want to mess up the electronics/smoke unit/etc. I hope you get an answer. I also read less voltage on the remote than what was displayed on the transformer. I also have a loco that slows on a couple of curves. DCS reads voltage assuming that 22 volts are on the track. Barry’s book explains the discrepancies, at least for the variable channels. 18 volts on ZW-l going into and out of variable on TIU. Remote reads about 15.4 volts. I will look at Barry's book. I still am perplexed that DONNIED (Original Poster)mentioned the slowdown of his engine. I have the same with my Dreyfuss. I don't think Barry went that deep in the book. Simple procedure would be to up the transformer voltage if the DCS is accurate. I will have to put my Fluke on the track to get actual voltage. I will post my results for everyone after I obtain them. Thanks for looking into this! I checked Barry's book because I recalled that the transformer needs to be set to 22 volts for the Variable channels in order to have the track voltage match what you see on the remote. However, I am using the fixed channels. I did not see anything regarding fixed channels having a discrepancy. The Z-4000 is putting out exactly what my meter says on the track. So there is not a voltage drop going from the transformer to the track. Just curious why the engine's track voltage soft key indicator would be showing less voltage on all engines - and would that be why it seems like the BigBoy needs a little extra juice (or maybe it's because the thing weighs as much as a small car). MTH engines are rated to go up to 22 volts, so I just run the BigBoy at 19-20 volts and it eliminated any problem of slowing down around the curve or "skipping a chuff" intermittently. Anyone have any additional thoughts - please chime in. Do not confuse voltage reading on the TIU, which should be reasonably accurate, with variable channel voltage reading on the remote, which is only accurate (sort of) when the input voltage is 22 volts. Do note that the Track Voltage reading on the remote softkey is read by the board in the loco, which is downstream from the rollers and the fine wiring in the loco. Between that sensor circuit and the voltmeter in the Z4000, there is also the track, the leads, and the TIU, all of which tend to reduce voltage. Thank you! This is in regards to the fixed voltage output - I am not using variable outputs - I think the variable output was only referenced because of Barry’s information in his book - and we haven’t found info regarding this particular issue. 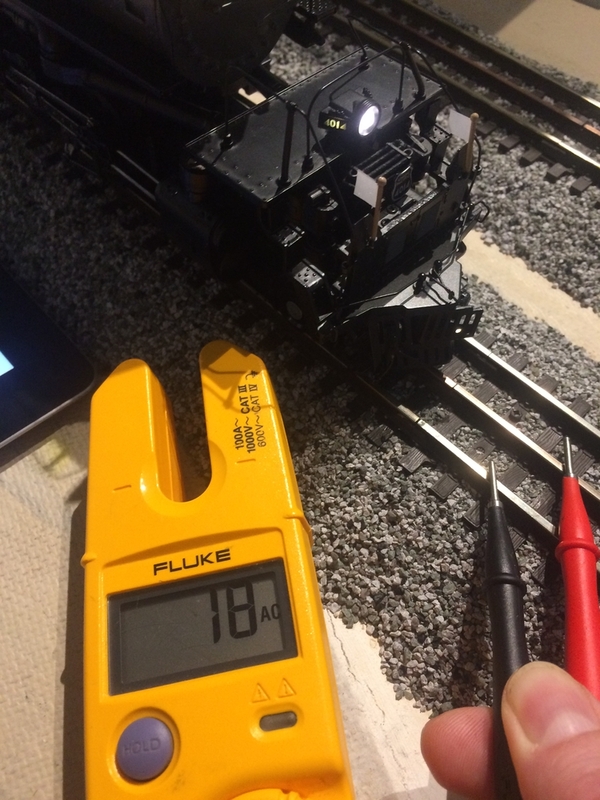 I am just surprised there is that much of a drop in voltage from the voltage reading in the engine as compared to the actual voltage of the track. Thanks again for your help! Your info about the voltage of track to the inside of the engine makes sense. I mentioned the variable circuits because someone above had mentioned voltage reading on the remote. The voltage drop between transformer and loco (even when measured with a voltmeter on the track, has always been a source of wonder to me. It is one reason why I only use 14-gauge wire to feed tracks. I know what the charts say is voltage drop per x feet of wire, but somehow the numbers don't work out. I'm inclined to think that there is considerable drop at some track pins and along steel rail. Great question...as you increase the voltage on the transformer, the "track voltage" soft key indicator increases as well. 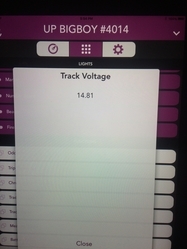 Just always below what the track voltage actually has. I'll have to play with it tomorrow to see what 22 volts reads. I think I'll take all the Lionel stuff to another room before I do that.